From the grocery items to the eatables, from sanitary products to the packaging of home articles, from logos to business cards, from typography posters to brochures/flyers; there is nothing that a designer cannot do. Give him the right directions and he shall conquer the world. I heard a lot about the success big stories of designers and there is no surprise that women are doing as better as men. Designers are devoted and keen artists who are good with tints, hues and saturation of the images. Their skill oozes out at the right time with a great flow, and they seek experience by meeting and greeting with different clients. Some tasks are over demanding while others don’t consume much of their time. Day after day, their skill is enhanced and maturity of work is reflected through the level of quality they perform. 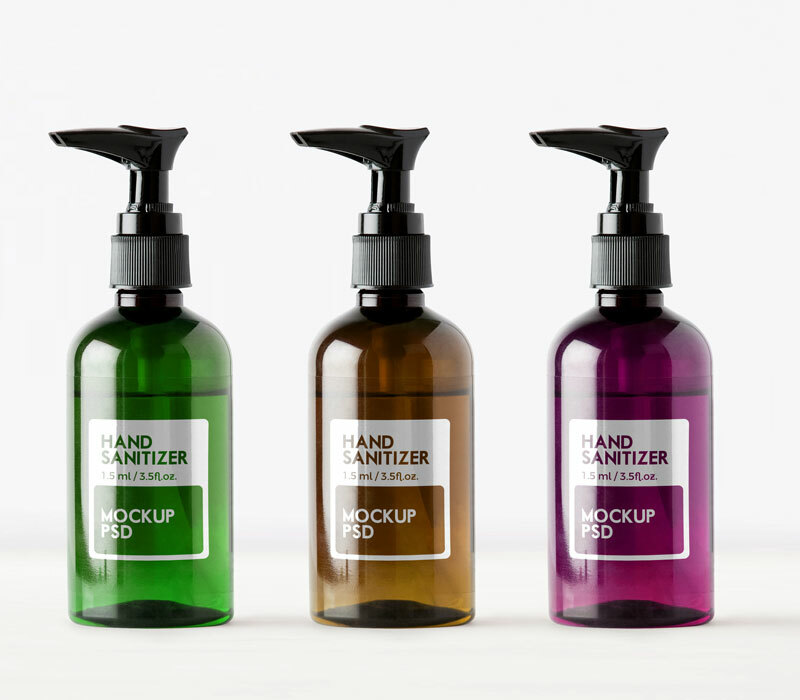 Here I am putting forward a free liquid hand wash soap bottle mockup in which you can put in your own design elements. Make striking presentation out of it and let your client know how professionally you treat every task. Presentations are impression building so make sure you put forward the best that you can so to win over the appreciation of the client. Once a good level of connection is built between the two (client-designer), he will always contact you for your efforts and unbound services. This hand wash soap bottle looks crystal clear, hygienic, outright and germ-free to be used. 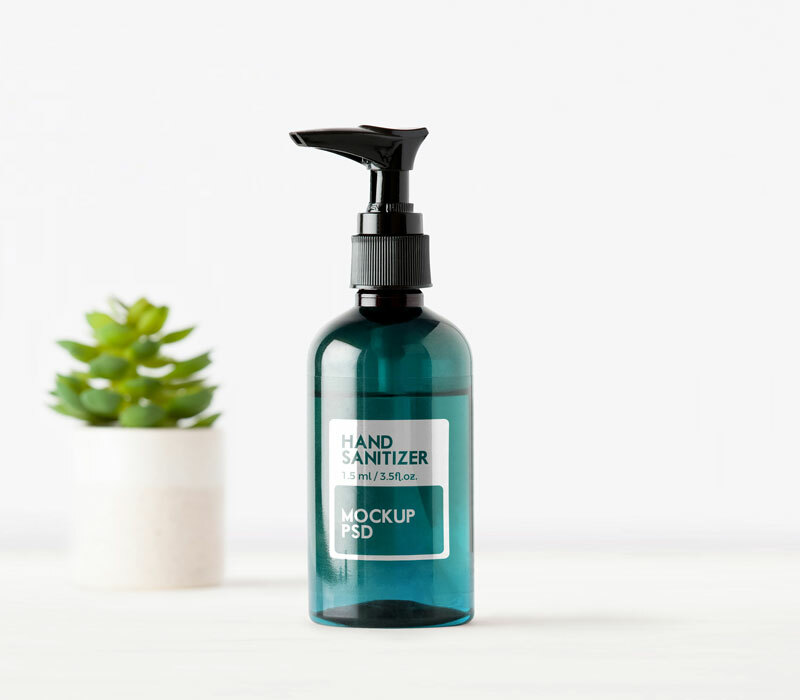 You can use it for multipurpose, like a presentation mockup to depict the design elements of water spray bottle, oil spray bottle, or anything of the same type. For more freebies and tech/design collection, stay tuned to the blog. We love to gather up fantastic design feed for you all. Anything that inspires an eye definitely touches one’s heart, therefore we also give shout out to our artist of the month to help the beginners and learners know what techniques, strategies and ways are to be adapted in order to touch the mounts of perfection. 2. Say thanks if you like or share/tweet with your friends. That means a lot to me. 3. And don’t forget to follow or subscribe to receive for more high quality premium freebies & awesome articles only. You did a good job for us,saving our money and time.